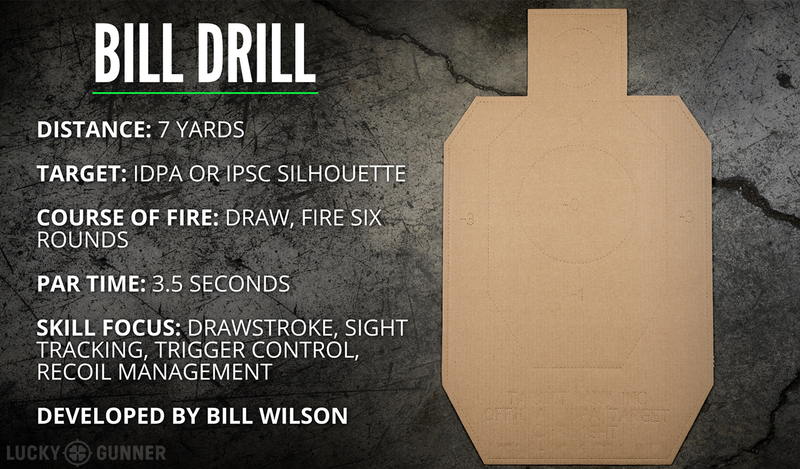 We’re continuing our Start Shooting Better series today with a look at the classic Bill Drill. Details and demos are in the video below, or as always, you can scroll down and read the full transcript. CHRIS: Hey guys, Chris here from Lucky Gunner and I’m here today again with John Johnston from Citizens Defense Research. You might also know him as the host of Ballistic Radio. And he’s going to help us with another drill today. We’re doing the Bill Drill, so tell us about that, John. 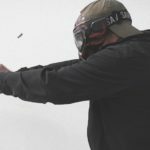 JOHN: The Bill Drill, originally designed by Bill Wilson — just start at seven yards with a standard IPSC target or IDPA target. Draw, fire six rounds, the goal being to have all six rounds in the -0 or A-zone. What we’re working on with that is establishing a grip on the draw, seeing just enough of what you need to see but not over-confirming [the sights], running the trigger well at speed, and recoil management. CHRIS: What would you consider to be a good par time to shoot for if someone hasn’t done this before. CHRIS (VOICE OVER): For the Bill Drill demo, John is shooting his Glock 34 customized by Boresight Solutions. And in keeping with the policy we have decided on for the Start Shooting Better series, we are always going to show you our first attempts at the drills. There are no practice runs or re-shoots. So whether we’re having a good day or a bad day, what you see is what we shot the first time. John’s first run is a 2.30 clean. Notice that he’s carefully reholstering the gun — that’s not something you want to rush. His second run is 2.44. A hair slower than the first, but the hits are more consistent and controlled. He took just a split second longer lining up that initial shot and it looks like that made a difference. I’m using a Beretta PX4 Compact for my Bill Drill demo. This was my first day shooting drills after a few weeks without any real practice, so it was definitely not my best day, but let’s take a look at what I did wrong and how it could have gone better. The first run was 3.26 with two misses. I had some trouble getting a solid grip established at the beginning of the draw stroke, and never really recovered. My second run was 2.95 with one miss. So I had a better grip on the gun than the first run, which resulted in better control and a tighter group, but I rushed my first shot and missed because I did not spend enough time confirming that I had good sight alignment. 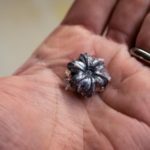 The two major issues I had here are both pretty common mistakes on the Bill Drill. You have to get a good grip on the gun while it’s still in the holster and you cannot rush the presentation to the target. At seven yards, the sight picture doesn’t have to be perfect, but you also can’t just stick the gun out there and start mashing the trigger. CHRIS (TO JOHN): So this is a drill that’s really good to try cold. Can you explain what that means and why we would want to do that? JOHN: So, anytime we’re doing a drill cold, we have not fired any rounds for the day at all. 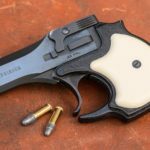 We’re just showing up at the range with our carry gun, or if you’re a competition shooter, just putting your rig on, and it’s the first drill of the day you do. The reason why that matters is because what I can do warmed up after a full shooting session is not always what I can do just coming off the street to the range and it’s a really good measure of your actual performance level. CHRIS: Yeah, I’ve been able to knock off easily a half second to maybe even a full second sometimes between the beginning and the end of a training session doing a Bill Drill. JOHN: Yeah, definitely. It’s one of those things where if you start practicing something over and over again, especially if you’re only working on one thing during the day, you can get some really misleading results. So cold performance is where it’s at. CHRIS: So this is probably a good time to talk about tracking your performance. Bill Drill is one of the drills I’ve been doing the longest. I’ve got notebooks worth of data that go back four or five years where I’ve been tracking my cold performance on the Bill Drill. Can you talk about the value of that? JOHN: The reason why performance tracking really matters on things like this is because as you develop certain skills, whether it’s your grip or recoil management or whatever, you can see where that really starts to pay dividends. So if I’m running a drill in four seconds two years ago versus two and a half seconds today, I can see where I picked up time and where I still maybe need to work on things. CHRIS: Right, so this is one you can really push yourself on. 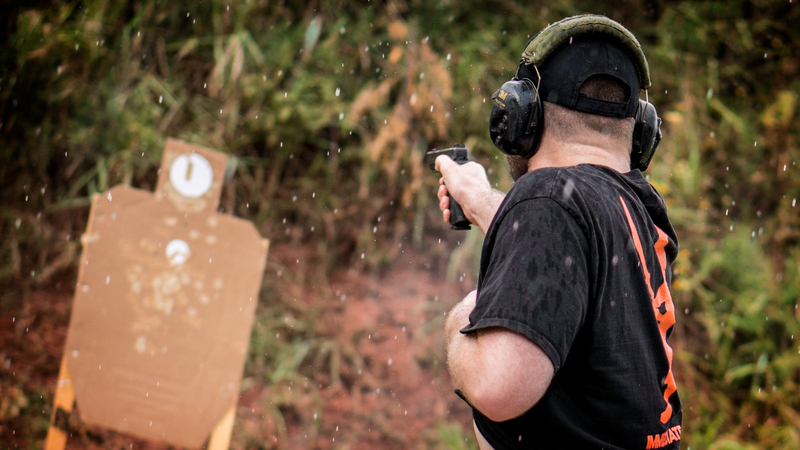 You don’t ever get too good to try a Bill Drill and learn something from it and use it to develop some of these different skills, so go out there and give it a shot.